A chiropractic back adjustment, also known as chiropractic manipulation or spinal manipulation, is a common treatment option for lower back pain, sciatica, herniated discs, and other spinal issues. The spinal column is made up of 24 independent vertebrae or bones that allow the body to move, bend, and twist. The spinal column also works to protect the central nervous system. When vertebrae are not functioning properly together, it's called a misalignment or subluxation. These misalignments can cause pain, reduced mobility, and numbness, but it may be months or years before symptoms develop. Between vertebrae are cushions of cartilage called spinal discs. The discs keep the vertebrae in alignment with proper spacing and absorb shock. When the spinal structure is not aligned, vertebrae can be pushed out of alignment and put excess pressure on a disc. This can lead to a bulging or herniated disc. Discs have a soft center with a harder exterior. A herniated disc happens when the softer interior is pushed through the exterior of the disc. This can put pressure on nerves running through the spine and lead to chronic and debilitating back pain, numbness, weakness, and pain that travels down the legs. The spine bears a constant weight load which makes it prone to misalignments and pain. As we age, the problem gets worse as constant pressure wears away at the cartilage lining the facet joints, causing inflammation. 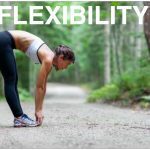 A variety of conditions can trigger back pain, including abnormal curvature of the spine, fibromyalgia, anxiety, depression, pregnancy, and injuries from sports, exercise, and car accidents. According to the American Chiropractic Association, about 20% of men and women with back pain have osteoarthritis by the age of 40, and this figure climbs to 75% by the age of 60. - High velocity, short thrusts to a verterbra. - Audible popping sound. This sound is the release of gas trapped in the joint. - Usually a relieving sensation, but some people experience minor discomfort if surrounding muscles spasm or the patient tenses during the treatment. The adjustment is made to a joint or vertebra that is locked or not moving correctly to return bones to a normal position and range of motion. Most people experience improvements after a few visits and do not need additional sessions, but every client will have a treatment plan customized to their needs. 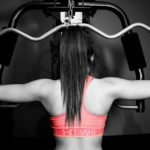 When Can a Back Adjustment Help? Chiropractic care has many proven therapeutic benefits, including supporting overall health and preventing and treating spinal conditions like chronic lower back pain, sciatica, pinched nerves, herniated discs, and degenerative disc disease. The following are some of the most important benefits of chiropractic manipulation. Chiropractic patients tend to have stronger immune systems and fewer flus and colds compared to non-chiropractic patients. According to Dr. Ronald Pero, chief of cancer prevention research at New York's Preventative Medicine Institute, his research found that chiropractic patients have an immune system that is 200% stronger than people who have never received chiropractic treatment. Chiropractic treatment has been found to be a more cost-effective approach to treatment compared to surgery and drugs. One Canadian government study found that chiropractic care results in lower health care costs, especially inpatient expenses, than people who rely solely on medical care. Chiropractic adjustment is an excellent first approach to back pain and other issues without resorting to costly and potentially dangerous drugs and surgery. One study published in the British Medicine Journal found chiropractic adjustment helps people with back and neck pain recover faster than physical therapy, prescription medication, and counseling. Another study published in the Journal of Manipulative and Physiological Therapeutics found lower back pain patients who received chiropractic treatment had higher patient satisfaction and pain improvement within four weeks than people treated by a general care doctor. A third study that was funded by the National Institute of Health's National Center for Complementary and Alternative Medicine found that, after 12 weeks of care, 57% of chiropractic patients had at least a 75% improvement in pain compared to just one-third of people treated with pain medication. Chiropractic adjustment can often reduce or completely avoid the need for surgery, especially with back issues. 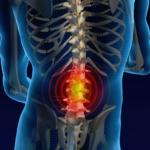 Back surgery has a high complication rate and it often leaves patients with worse pain than they had originally with a range of long-term side effects. The Journal of American Medical Association has issued new guidelines, recommending people with lower back pain first try chiropractic treatment before turning to surgery. Chiropractic care is also an effective way to avoid prescription pain killers, which have a high addiction rate and many adverse side effects. Chiropractic adjustment is a natural treatment option that has been shown to reduce pharmaceutical costs by almost 52%. Chiropractic treatment is an effective way to treat chronic pain and weakness from sciatica. According to a study published in the European Spine Journal, a clinical trial found chiropractic adjustment has a 72% success rate in treating sciatica compared to a 20% success rate with physical therapy and 50% with corticosteroid injections. Headaches are one of the most common reasons people seek chiropractic treatment. There have been more than 200 studies published on the beneficial effect of chiropractic care on headaches and migraines, including one trial that found a 90% reduction in migraine attacks after chiropractic care and a 49% reduction in pain intensity. If you have a condition you believe may benefit from a back adjustment or you want preventative care to reduce your risk of spinal issues, a chiropractic back adjustment is a safe and effective treatment option that may help you. Contact ChiroFit today to learn more about chiropractic care and schedule your initial appointment.